to the highest score chorus below a specific number of voices. 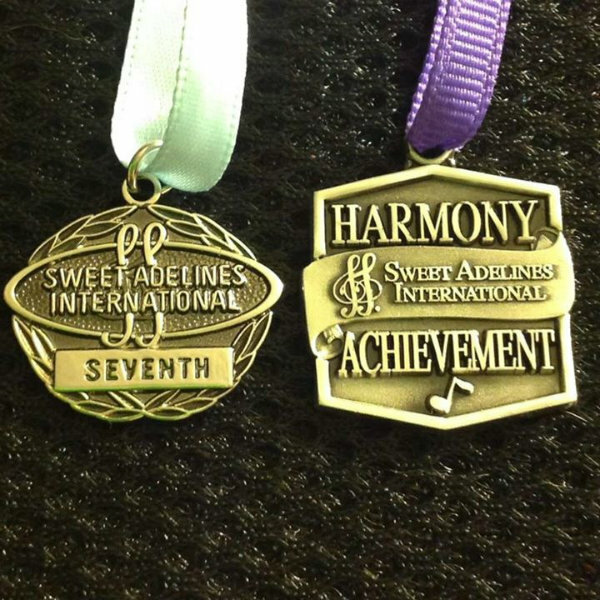 This year that limit was 58, and MNC (with 48 singers on stage) earned the Harmony Achievement Award this year for the second time. On Saturday 11/8, the ten choruses presented a fifteen minute performance package. Metro Nashville's package was set in a cooking class, but centered on the relationship between a Mother-in-Law and Daughter-in-Law in the class. At the end of the contest, MNC was named 7th in a field of the best barbership choruses in the world: Melodeers (1st), Rich-Tones, and Harborlites (3rd). MNC was also proud to share the International stage with another Region 4 chorus, Pride of Kentucky, who placed 8th. It was an exciting contest!